OS X can create several software RAIDs from disks connected to a Mac computer: RAID1 (Mirror set), RAID0 (Stripe set), and Concatenated disk set. 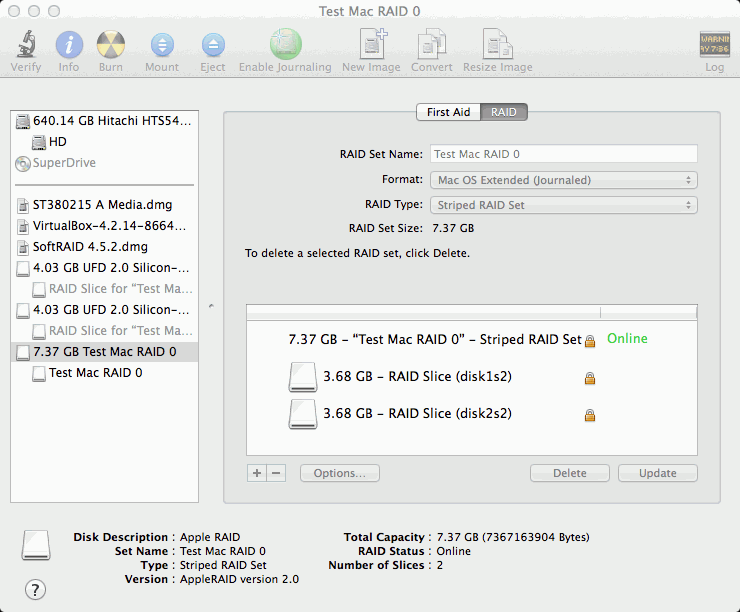 R‑Studio detects components of Apple RAID sets and creates their virtual RAIDs automatically. 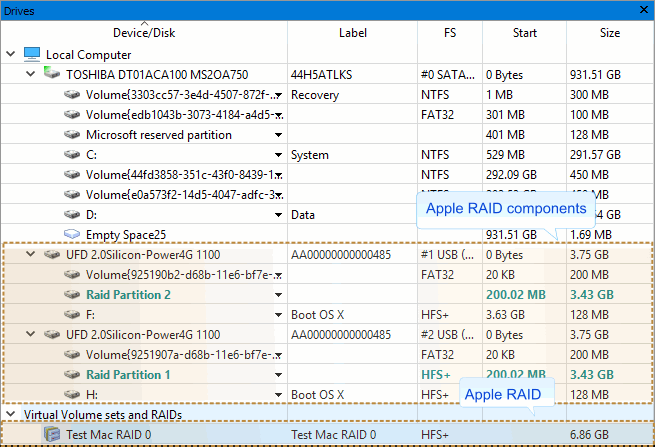 At the same time, R‑Studio gives access to the individual components of the Apple RAID sets (hard drives and images). If recognized components of an Apple RAID, including disk images, are added to R‑Studio later, it automatically adds them to their respective Apple RAID. 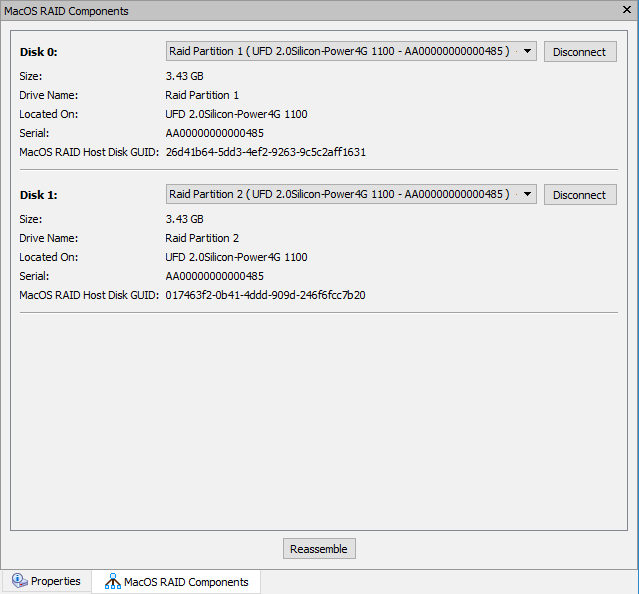 When an automatically created Apple RAID is selected, R‑Studio highlights its components. 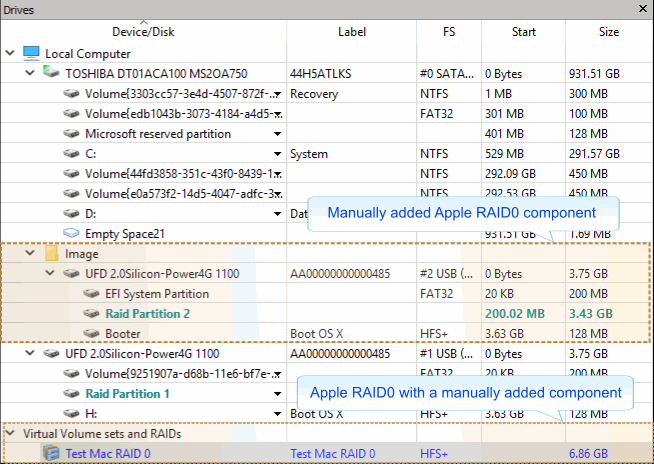 R‑Studio shows the components of the Apple RAID on its M acOS Components tab. 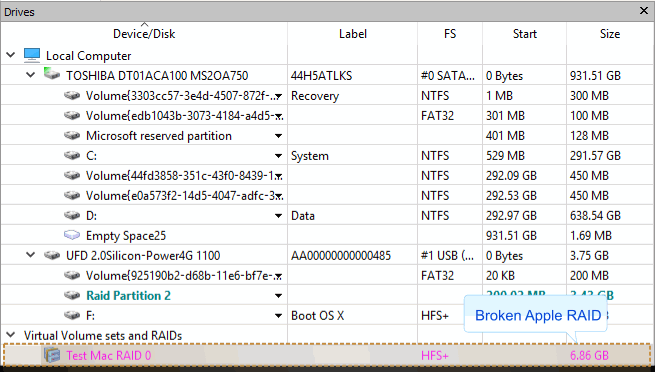 R‑Studio shows broken Apple RAIDs in pink. The M acOS Components tab also allows you to manually disconnect or connect the components, for example, if they are such damaged that R‑Studio cannot recognize them as parts of a broken Apple RAID. Select the object from the drop-down box and click the Connect button. R‑Studio displays the objects it recognizes as the components of the Apple RAID in blue. You may immediately switch to the Apple RAID configuration that R‑Studio believes most probable by clicking the Reassemble button.